The city of Cleveland has a new secret weapon in its efforts to keep free agent guard LeBron James from bolting town: an 88-year-old sitcom star. 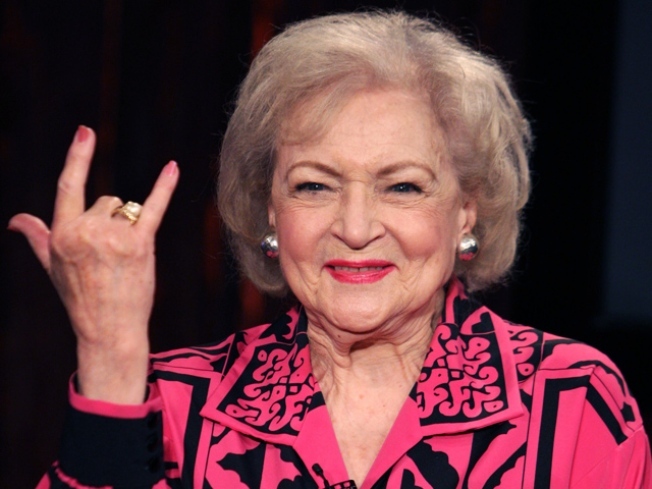 Betty White, the former "Golden Girls" actress who is experiencing a career renaissance of late after hilarious turns in a Snickers commercial and as a host of “Saturday Night Live,” appears in a new ad geared toward keeping the superstar in Ohio, Entertainment Weekly reported. White’s new sitcom is based in Cleveland, home to James’ Cavaliers. In the spot, the comedienne appears along with her fellow “Hot in Cleveland” co-stars Wendie Malick, Valerie Bertinelli, and Jane Leeves - in character - asking King James to stick around. While the other ladies seem to be ignorant about LeBron, White knows exactly who he is, even offering to make it “worth his while” if he stays home. White is just one of the many celebrities across the country who have made appeals to James, easily the most sought after free agent in NBA history. New York magazine dedicated a large article in its May issue to wooing the star and politicians from Mayor Michael Bloomberg to President Obama have weighed in on what they think LBJ should do. James was originally expected to announce his decision at the end of the Fourth of July holiday weekend, but now is expected to continue mulling his options through mid-week.